Apple cider vinegar (ACV) has many awesome benefits, and is especially great for the hair. It is great to treat dry itchy scalp, prevents dandruff and closes the cuticle leaving the hair shiny. Due to the acidic component of ACV it helps to maintain the ph balance of your hair and scalp. I recently started using apple cider vinegar to help me with m itch scalp and have reap numerous benefits. Despite the smell it is a welcome addition to my hair care arsenal. Here are a few of the benefits I have reaped so far. Detangles- It is a great detangler, I could not believe the first time I used it how easily I was able to detangle my hair. The reason for this is that the acidity helps to smooth the cuticle loosen any knots. Antibacterial- I first decided to use it because of my itchy scalp and have seen so much rave reviews on how well it works to return the natural balance to my scalp. Apple cider vinegar contains acetic acid which works as an antibacterial and antifungal, therefore making the scalp a hostile environment for both bacteria and fungus. Clarifying- I use a ton of produces in my hair throughout the week, which make my hair loo really dull by the end of the week. 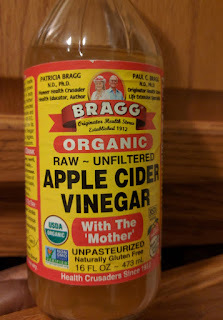 Apple cider vinegar (ACV) clarifies and remove product build-up without stripping the hair. After an apple cider vinegar rinse my hair looks shiner and my curls are more defined. 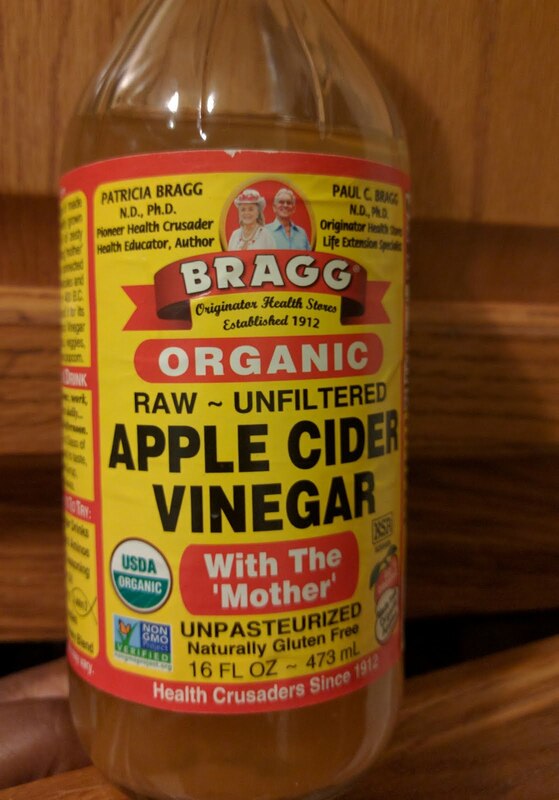 To make my apple cider vinegar (ACV) rinse I combine one part ACV with two parts water in a spray bottle and spray directly on my scalp. I plan give a place of prominence in my wash day routine by adding it before my shampoo and before my leave-in conditioner. Have you used ACV in your wash day routine? What benefits did your get from incorporating it? I use it with my clay powder. It works wonders.